The finding that mitochondria contain substrates for protein kinases lead to the discovery that protein kinases are located in the mitochondria of certain tissues and species. These include pyruvate dyhydrogenase kinase, branched-chain α-ketoacid dehydrogenase kinase, protein kinase A, protein kinase Cδ, stress-activated kinase and A-Raf as well as unidentified kinases. Recent evidence suggests that mitochondrial protein kinases may be involved in physiological processes such as apoptosis and steroidogenesis. Additionally, the novel finding of low-molecular-weight GTP-binding proteins in mitochondria suggests the possibility that these may interact with mitochondrial protein kinases to regulate the activity of mitochondrial effector proteins. 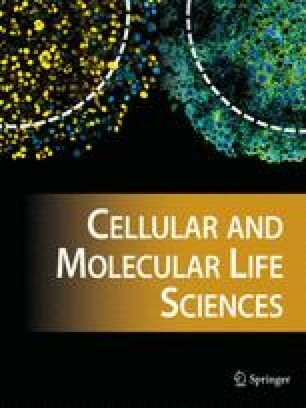 The fact that there are components of cellular regulatory systems in mitochondria indicates the exciting possibility of undiscovered systems regulating mitochondrial physiology. Key words. Phosphoprotein; mitochondria; protein kinase; apoptosis; steroidogenesis; placenta; GTP-binding proteins.